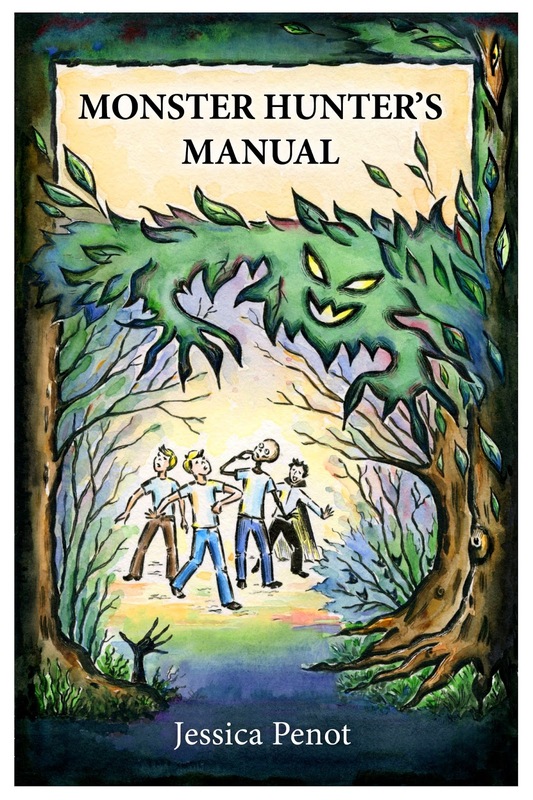 My new middle grade book, The Monster Hunter's Manual, is now available. It is a children's book set in the haunted castle, Chateau Larcher in France! For the next two days, I will send free copies of this new book to the first 5 commenters below who agree to review the book on Amazon or Goodreads! The Monster Hunter's Manual is the story of Gabriel. Gabriel is a boy who has just lost everything. His parents have died and he's forced to move to a strange county, France, to find a new home. He dislikes his crazy aunt, who he has to live with, he doesn't want to learn French, and to make matters worse, the only real family he has left is his whinny, baby brother. Despite all this, as soon as Gabriel enters his aunt's ancient castle, he realizes that all these disasters might be the beginning of a grand adventure. In the castle of Chateau Larcher, the walls groan and the attic talks. Shadows take on strange shapes and Gabriel becomes convinced the castle is haunted. But the ghosts in Chateau Larcher aren't what Gabriel expects and he soon learns that skeletons aren't always scary and ghosts can tell the most interesting stories. Even Aunt Perrine can end up being the most powerful monster hunter in the world. I have a couple of middle graders who would be interested, and I can leave a review on Amazon about it. P.S.- I will definitely commit to posting reviews on Amazon and GoodReads, and anywhere else I can think of. This sounds right up MY alley. I love haunted castles and ghosts and scary adventures but - despite my being an adult - I can't read the horror genre. Also, like the poster above, I will read books before giving them to my nieces. (My nieces are a bit young at the moment but I'd love to read this book and then hang onto it for them.) If you choose me, I'll post a review on Amazon And Goodreads. I'd be happy to read and review! Let me know. Thanks. Hi! I will be contacting you all shortly to gather your information so I can send you the books. Stay tuned. Thanks for your comments.